Tonight Alive performed a medley of Rage Against The Machine songs during their set at the Melbourne stop of Soundwave 2015. The band played a compilation of some of our favorite RATM track, "Killing In The Name," "Know Your Enemy" and "Guerrilla Radio." 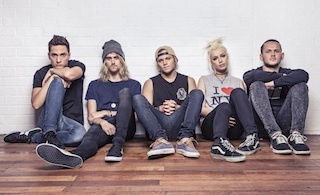 Tonight Alive will start recording their new album in the coming weeks in New Jersey.